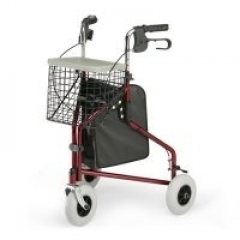 We sell a wide variety of walkers and rollators, including 3-wheel and 4-wheel walkers. These walking aids, walkers and rollators are use for assistance in walking. Three-wheel walkers provide improved maneuverability for the person who does not require the added stability, or seat to rest on, used mostly for indoor use due to its improved manoeuvrability. Four wheel walkers and rollators have the added feature of a seat and locking handbrakes for resting. The front wheels swivel for ease of turning without having to lift the walker. Most of the three and four wheel rolling walkers and rollators have either locking handbrakes or spring-loaded push-down brakes to help control the walker's movement. 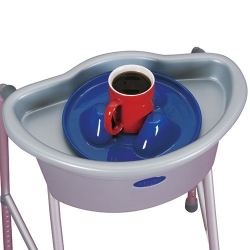 Many of the walkers also feature adjustable handles and/or seat height to fit individual needs. However, rollators can differ greatly in size, weight, color, weight capacity, brake type, design, wheel size and basket. Lightweight aluminium rollators with seats which fold easily for storage and travel. Four wheel walkers and rollators have the added feature of a seat and locking handbrakes for resting. 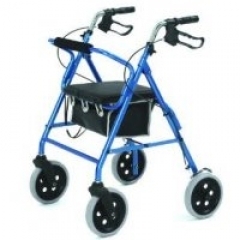 The front wheels swivel for ease of turning without having to lift the walker. 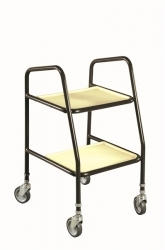 These Trolley walkers are used around the home to move items while assisting the users stability. Zimmers aid the less mobile among us to get around and regain some of that all-important independence. 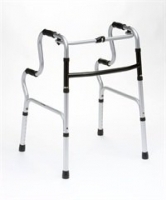 Our walking frames come in many shapes and sizes and are made of strong lightweight aluminium. 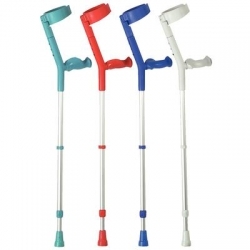 WALKING AIDS INCLUDING CASTORS, HANDGRIPS & MORE.